Mecklenburg County is focusing on an overhaul of Memorial Stadium, as officials discussed on Tuesday plans to rebuild the facility. 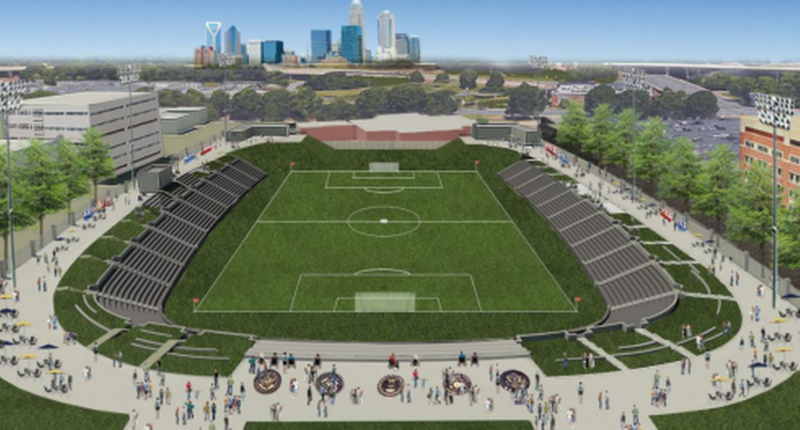 The future of Memorial Stadium has been connected to the long-term status of professional soccer in Charlotte. Previously, the county was considering a $24-million renovation of the facility for the USL’s Charlotte Independence, with the Charlotte Regional Visitors Authority, county and Independence each contributing $8 million toward a 10,000-seat facility that could be expanded for MLS. However, the focus on Memorial Stadium’s future changed after Charlotte’s MLS bid–led by Marcus Smith–called for demolishing it and replacing it with a new $175 million venue. Commissioners voted 7-2 to support Diorio’s plan. Republicans Ridenhour and Jim Puckett voted no. Ridenhour said the $31.7 million price tag is too high. Puckett said the county needs to try to get Charlotte City Council to allocate tourism dollars to the project. “I don’t want to put the burden on property tax owners,” he said. For much of the 2017 USL season, the Independence staged home matches at the Matthews Sportsplex, a facility located in nearby Matthews, NC. The Memorial Stadium redbuild is expected to take at least two years. RELATED STORIES: Charlotte’s Memorial Stadium Back in Play for USL Soccer; Charlotte MLS Plan Calls for Memorial Stadium Demolition; Memorial Stadium Renovation Plans on Hold; Charlotte Independence Upping MLS Bid; Charlotte Memorial Stadium Renovation Receives Key Endorsement; Charlotte: We’re Ready for MLS; Independence: We’ll Pay $8M Toward Memorial Stadium Renovations; Independence to Propose Memorial Stadium Overhaul; Charlotte Emerging as MLS City?